Most of the companys invest large amounts of money in marketing, focusing mainly into acquisition tactics such as SEM, SEO, affiliates... The problem is that they should care about how much money and effort takes to bring a customer into a website, and therefore they must change the strategy into a more sales-driven one. What is the point of having a flashy website if you do not focus on "driving" your potential or exisiting customer to the sale? The growth of Internet shoppers and ecommerce in general, is a double-edged sword. At one end, online retailers have more opportunities to interact and engage more shoppers than ever before, thanks to the ever evolving technology. As these opportunities continue to increase, merchants should focus on designing a proper marketing strategy, where all the departments in the company work in the same direction. From customer services, to the marketing department, where most of the times they do fight in a very silly way in getting more budget for acquisitions, retention, eCRM..., when they should all be focused on one thing: following a well designed sales strategy managed by one leader that directs the right managers into one only goal which is to make sure they sell, and keep the brand reputation/operations always at the top. At the other end, you have thousands of sites offering similar products driving the shopper to conduct “comparison shopping” and forget their original purchase intentions. Before you know it, your almost-customer is off to another site in search of a product they had originally intended to buy on your website. Retargeting is a proven marketing tactic used to prevent "shopping distractions". Retargeted ads drive highly your highly qualified prospects back to your website. You have already spent acquisition money to attract these customers, however, by nature more than 95% leave before making a transaction. The question is: "make sure you measure why they leave and get control over it"
Although the basic levels of retargeting (static and segmented retargeting) do the job, personalized retargeting is key to get more out of those "distratected" customers, and therefore we do mention the importance of customer and data segmentation. Product-level personalization of ads increases both CTR and conversion since the ads are more relevant to the specific product interest of the consumer. When a consumer clicks on a product image within the ad — they are brought directly to the “buy now” page for the product — expediting the product purchase cycle. Another study showed that retargeted prospects spend 50% more than non-retargeted prospects. Retargeting technologies that have the capability of showing your potential customers additional product recommendations could actually increase the original order value by up-selling and cross-selling products and services. With retargeting, your acquisition money have not gone without reward. Many companies think they can get away with the assumption that the shopper will automatically revisit their site, but as your competition diversifies and online shoppers become more "experts", the likelihood of this happening is not nearly as likely as in years prior. If you’re not re-engaging the visitors who have gone away, then you’re simply wasting a good portion of the money you’ve spent in search and acquisition tactics. Although you cannot control the rate at which shoppers initially leave your site, with the personalized retargeting you can control the manner in which you bring them back to finalize your sale. It is about focusing on the above mentioned "customer journey". It is hard to conclude this post, as marketing it is such a broad area that covers almost everything in what a business should do to sell and succeed. My personal opinion is that there seems to be a lack of strategy, or if there is one, there is only designed for the short term. Therefore a good company must have a good leader that directs their people (assets) to the right direction, and to do so all departments within the business must work together and redisign the whole structure of their most of the times wasted and boomed resources. Internal communications is key as well as a well designed team pulling in the same direction. 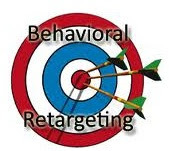 Everything must be connected; from CRM, ERP to departmental communication , where BI tools and good analysis can prevent the business from "getting lost"
I didn't know about the existence of re-targeting tactics. Maybe you could write a post explainig the criteria behind re-targeting and explain how they are applied to a real world experience. I mean, tell us how we are being re-targeted at some well known sites, or tell us wich online-merchants do it best and why. Thanks for your comments! I have some other articles about marketing and re-targeting techniques that may publish soon. As you probably know, marketing is a very extensive area that covers almost everything, specially in today´s competitive world. In answer to your query, I can only tell you that gaming sites were one of the first ones to apply this concept of mkt.